School going children need to stay healthy so that there is less number of absentees from the school. If a child stays sick and suffers from one thing or the other, this results in increased absence from school and ultimately poor performance of the student. So, a regular checkup and physician’s report is required for knowing the health status and especially immunization status of student. If any necessary immunization, it can be picked by the examination report and further management can be planned. The first thing is identity of the student. His name, age, gender and name of the school where he studies is mentioned for the purpose of identity. 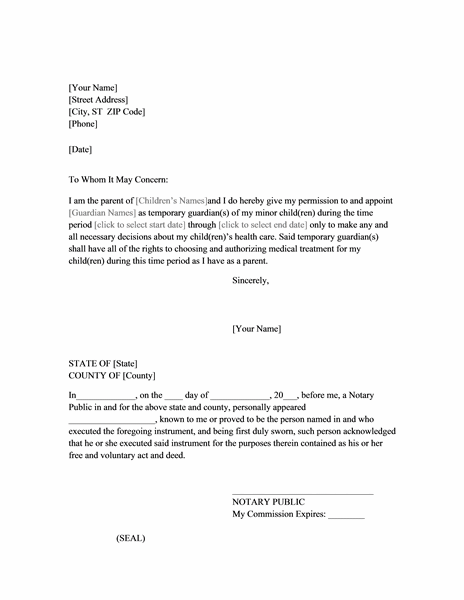 Name and section of his class, his date of birth, and complete address with contact number is also mentioned properly. Immunization status of the student is very important because children of school going age are very prone to catch serious infection and if they are not vaccinate or booster doses are not given, there are high chances that they catch and then transfer serious infectious diseases to their school fellows. 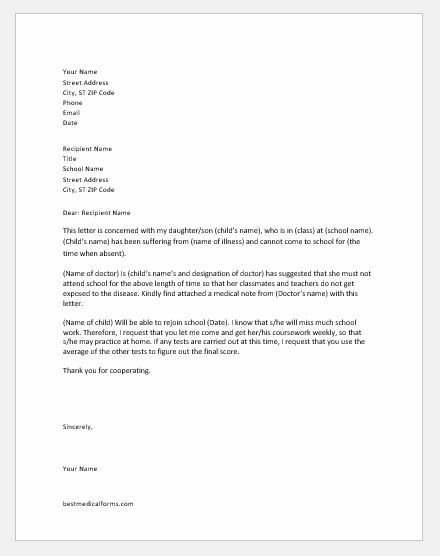 So, the examining physician has to inquire about and mention correctly about the vaccination of the student. Important diseases against which vaccination is very important are tetanus, pertussis, hepatitis B, polio, tuberculosis, varicella etc. If any student is not vaccinated or vaccination is not recommended, for example in cases of allergies, reason is definitely mentioned for this. At the end of the vaccination table, we are given two reasons for exemption from vaccination. We have to select which reason is applicable. Tuberculin test is the screening test for screening test for tuberculosis and is done in all the suspects of T.B. If the student’s history supports that he is likely to have tuberculosis or he had been previously exposed to or suffered from T.B, he must undergo the tuberculin test. Doctor has to mention which arm was used for the test and results of the test by mentioning the diameter of the induration formed. If the tuberculin test was positive, doctor must mention the follow up plan or suggest the anti-tuberculosis therapy. 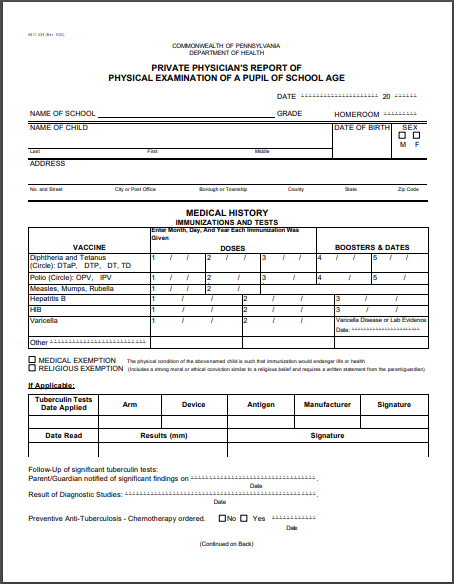 After the vaccination history and tuberculin test, medical history of the student is inquired and significant points are noted down in the examination form. Physician has to mention if the student has any known allergies, asthma, cardiac or respiratory disorder. Similarly, any other drug, blood transfusion history, skin disorder or epilepsy history is mentioned with details if identified. In this portion, physician measures height, weight, vitals, hearing, vision, dental health, lymph nodes, and all the systemic examination is done. Any positive or significant finding is mentioned in detail and further management or suggestions are written in front of each. 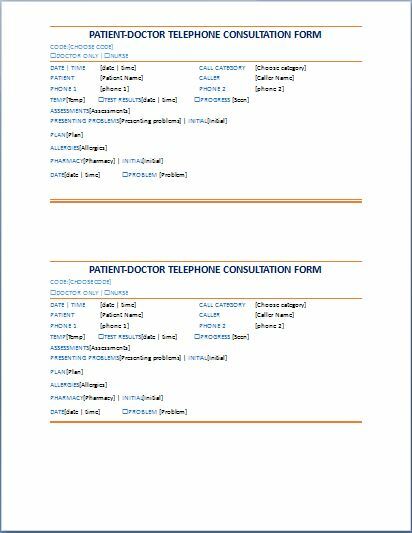 At the end of the examination, physician signs the report making it official with his name, contact number, email address and postal address for follow up or further reference when required.